New Release! The Eagle Totem returns from the land of night! Brian Flynn’s Doku Duo stacks up against all the competition. 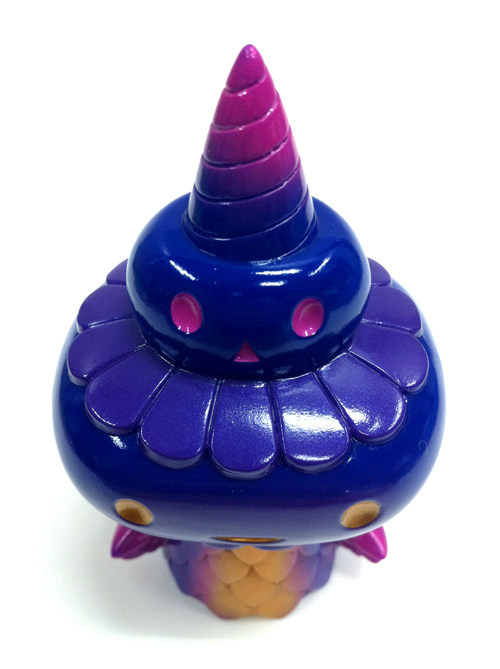 This unique entry into the Monster Family is constructed of high-quality Japanese soft vinyl (sofubi) and hand-painted with purple and metallic gold sprays over a base color of deep blue vinyl. This collectible figure stands approximately 4 inches tall.